For any enterprise, having an end-to-end holistic view of performance analytics of every aspect of its software environment coupled with the data that provides actionable insights in real time is the perfect recipe to manage applications flawlessly, and New Relic [NYSE:NEWR] has done exactly that. New Relic is a leading digital intelligence company that delivers full-stack application visibility and analytics to almost 40 percent of the Fortune 100 companies. The capability of an application monitoring and infrastructure performance tool to come up with immediate fixes for issues and improvement strategies for digital customer experiences are few of the many reasons why a plethora of companies bank on New Relic for their application management needs. New Relic’s recent announcement about the introduction of “Infrastructure Integrations”—a solution that will facilitate customers to monitor workloads on premise or in the cloud—is a move toward increasing speed for the customer and flexibility for the developer. The New Relic Infrastructure presents an extended library of integrations with major infrastructure components through which customers can get a variety of services including—Apache, MySQL, Cassandra, NGINX Plus, Redis, RabbitMQ, and StatsD—in a single view system. The latest upgrade to the infrastructure offers its customers easy customization of the built-in integrations or the ability to create their own integrations for any service or function they need to monitor. The New Relic Infrastructure SDK is tailored to make development, customization, and deployment of integration uncomplicated. Within minutes, the customer will have real-time performance data from any service operating on their hosts because the SDK is built in a way to create all the files and folders essential for the integration automatically and it offers a library of the most common functions to capture performance and health metrics. The New Relic Application Performance Magic tool is yet another product from the company that produces detailed performance metrics for every single aspect of a software environment, in real time. BMSIX, a Brazilian cloud services company specializing in migrating, deploying, and managing applications in the cloud turned to New Relic when they realized that they needed a strong software analytics solution designed to function in any cloud environment. Following the need to provide their clients with profound insight at the application level, BMSIX used the New Relic APM product. Post the implementation of New Relic APM, BMSIX found one of its customers in the Brazilian banking segment deploy a new savings bond product across Brazil, of which it expected to sell millions. The sales of bonds for the banking institution are supported by an application that is operated within the IBM WebSphere environment which runs on top of IBM SoftLayer. BMSIX used New Relic APM to help the banking company gain visibility into the application’s performance and also identify any bottlenecks. Now the company has a fully comprehensive, end-to-end representation of application performance from WebSphere and SoftLayer through the frontend. A recent study conducted by a European analyst Michael Ceroci, shows that revenues of public IT cloud services in Western Europe are estimated to grow up to $41.4 billion from 2015 to 2020. 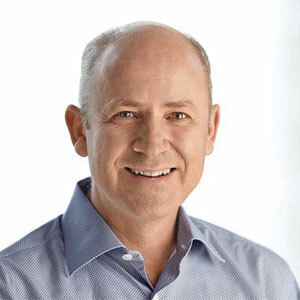 Realizing New Relic’s market potential, Lew Cirne, Founder and CEO of New Relic announced plans on establishing the first European availability zone for its Digital Intelligence platform located in Germany. The European enterprises will be able to access the full power of New Relic’s cloud-based platform—while having the assurance that their data remains within Europe—after the anticipated launch in 2018.